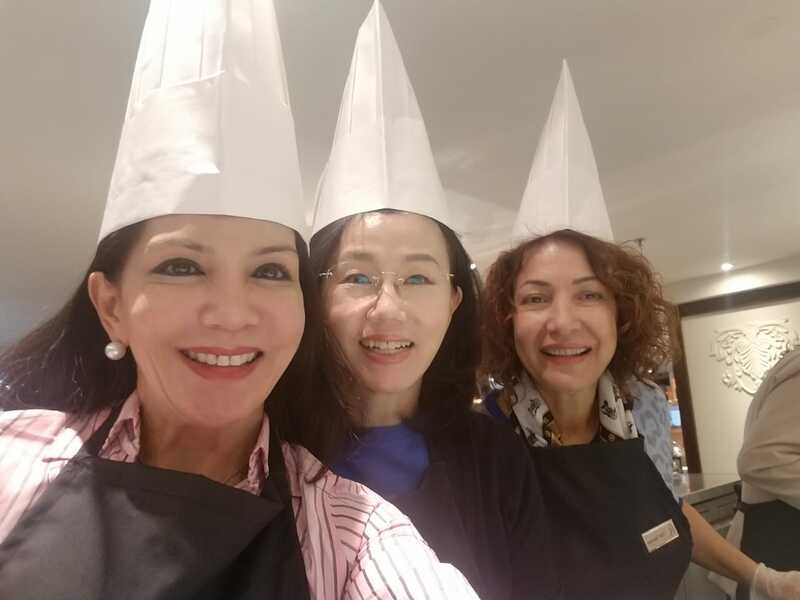 Fusion Cuisine cooking session & Luncheon with Ambassador wives. 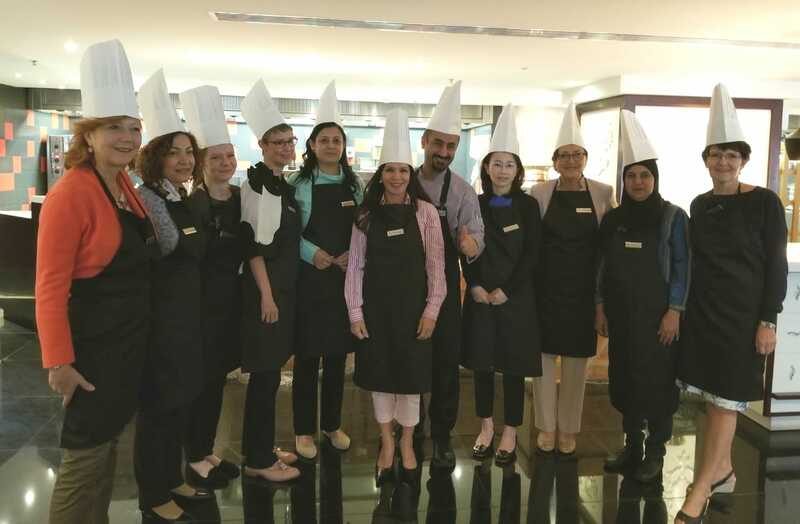 A hands-on ladies cooking session “Fusion Cuisine” with executive chef Hasan Korkmaz & a luncheon was hosted by Ms. Dessa Lidman, Owner & CEO of Bespoke Interiors Middle East at the Flavours Restaurant of Rosh Rayhaan Rotana Hotel. 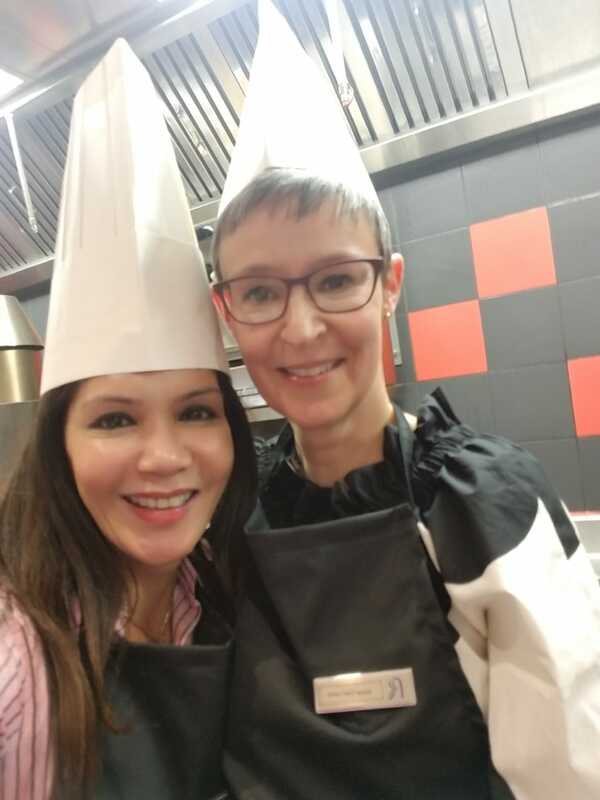 The cooking session & luncheon was highly attended by the Ambassador’s wives of various countries that included Brigette (Switzerland), Sermin (Turkey), Paula (Poland), Minna (Finland), Shabnam (India), Chisoo (Korea), Teresa (Mexico), Eva (Czech Republic) and Saira (Mauritius). Dessa welcomed the distinguished guests on the occasion and introduced the executive chef Hasan Korkmaz, “Hasan Korkmaz is the executive Chef of Flavours Restaurant of Rosh Rayhaan Hotel by Rotana in Riyadh. He has over 19 years of experience in establishments that include World-class hotels and resorts and several upscale restaurants. He is the author of Kitchen Magazine and ABC World Children Magazine. Editor (Publisher) of “Chef Haber”, Board Member of Chamber of Professional Kitchen, Istanbul Chefs Association Founder and president. He is holding the title of ‘first and only Chef who puts Turkey in top three list in the most prestigious cook contest of the world organizing in America at the Chicago with WACS (World Association of Chefs Societies). Also, he won the first place of the International Gastronomy Contest. Hasan is a Member of the Europe Chef’s Associations and Member of the World Chefs Confederation”, Dessa said. Hassan Korkmaz conducted the live cooking session and instructed some special techniques of cooking that highly amazed the participants. The proper cookery arrangements and Korkmaz’s fusion recipes aim to produce the delicious quality food that can digest and maintain the body’s vitality. There was something new for everyone in the session from some unique ingredients to new techniques that they learned to reproduce the dish at the comfort of their own kitchens. The session also brings the joy of cooking and creates a space of happiness.